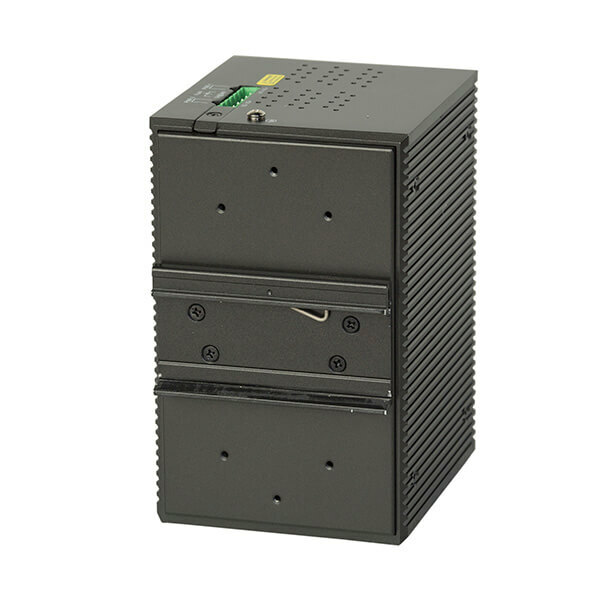 KY-8PSE30WMHx is a managed, redundant ring, high security Gigabit Ethernet Switch with 8 X 10/100/1000Base(T)X PSE & 4 X 100/1000Base(X) SFP slots. Built in DoS / DDoS Enhanced silicon Protection. 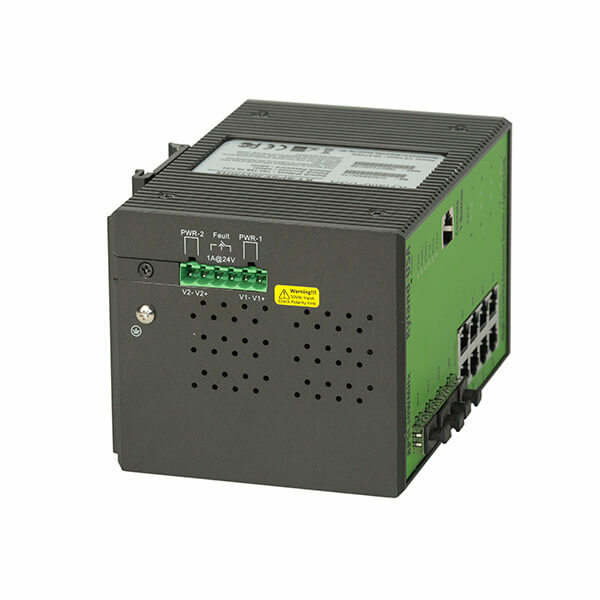 Automatically protects the network before damage occurs. Built-in auto-notification of events such as: (email / Text). High Security features such as Device Binding, IP Source Guard, MAC Lock / IP Locking and Hybrid locking. 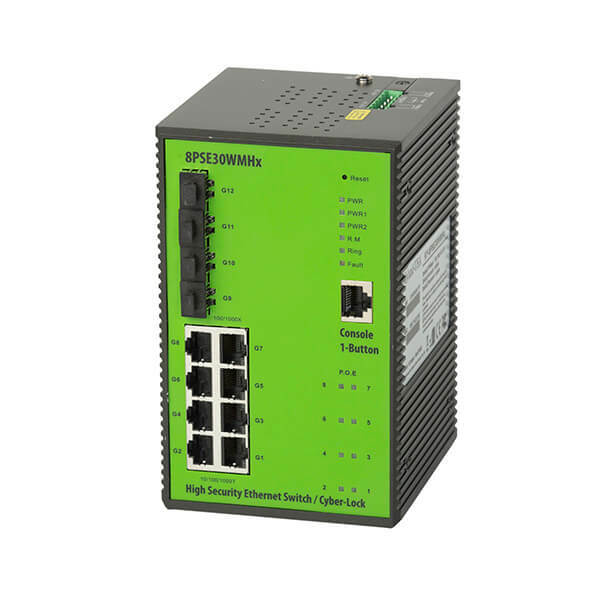 Supports Black List, Cyber-Lock, Cyber-Secure Video, Clean Code Technology, IP Flow Checking, Keep Alive Checking as well as15 Levels of Authorization & Access. The switch is very power efficient using a fraction of the power that competitor switches use. Power savings alone pays for this switch. The security insure your network is NOT compromised. SAVINGS, SAFETY, and SECURITY!